eBob Apparel supports and participates in many great golf organizations. Here is our growing list of organizations we support and links to learn more about them. The EWGA, also known as the Executive Women's Golf Association, is a non-profit organization whose mission is to connect women to learn, play and enjoy golf for business and for fun. 14,000 members are spread over local chapters in more than 120 cities in the US and internationally including Bermuda, Canada, South Africa, Ireland, and Italy. The EWGA also annually conducts the world's largest female amateur golf tournament, The EWGA Championship. The EWGA Foundation is the charitable arm of the EWGA, dedicated to developing and funding education and leadership programs for women of all ages. This year eBob has teamed up with the EWGA to sell stylish hats bearing the EWGA logo at the EWGA Championship Finals. A portion of hat sales are shared with the EWGA Foundation. The First Tee is an organization that impacts the lives of young people by providing educational programs that build character and teach children core values of life such as responsibility, respect, courtesy, honesty, and sportsmanship through the game of golf. To learn more about the First Tee, click here. Future Champions Golf inspires young golfers of all ages and abilities in a fun and positive environment to take their game to the next level. 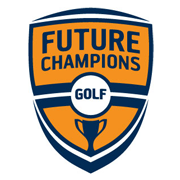 Future Champions offers professional instruction and great tournaments for all skill levels whether you are a child just getting started, or someone who is aspiring to be on the PGA/LPGA Tour. They also help teens get exposed to colleges through their FCG World Series Events, FCG National Tour, and FCG Coaching Programs. To learn more about Future Champions Golf, click here. U.S Kids Golf is an organization supporting all junior golfers of all ages and skill levels. U.S Kids supports juniors in many ways. They offer professional instruction whether you are a beginner or advanced golfer. They also market golf clubs of different weights and lengths so there's a set of clubs for any size golfer. The Ultralight clubs are great for beginners, while the Tour Series clubs are for more advanced golfers. Finally, they offer golf tournaments that are both fun and competitive, in many different countries, including the United States, England, Scotland, Italy, Canada, Dominican Republic, Puerto Rico, New Zealand, and Australia. All USKG tournaments are extremely well run, have fast pace of play, and are great fun for all participants. To learn more about U.S Kids Golf, click here. San Diego Junior Golf Association is not just a golf tour. It is an organization that does a lot for its participants. SDJGA has many tournaments, the biggest one being the Junior World Championships, one of the most, if not the most prestigious golf tournament in the world, with 1200 participants from 42 states and 56 countries. They also give college scholarships not to the best player, but to the hardest working, most persevering player. SDJGA also has instructional videos on its website to help viewers take their game to the next level. To learn more about SDJGA, click here.